This south indian 22ct chain mangalsutra is widely used across kerala, tamilnadu, andhra and karnataka. 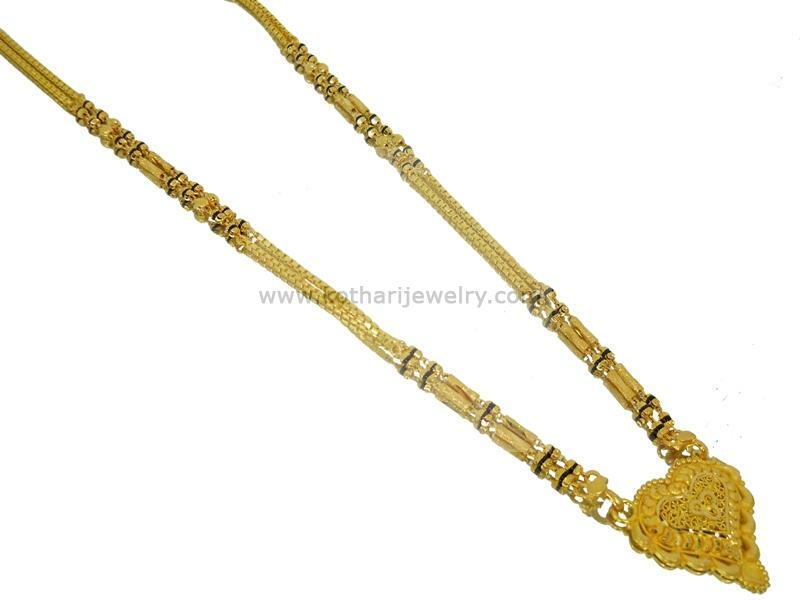 The gold chain gives a very delicate but prominence of the amount of gold worn and it is weaved with a few black beads. This 22karat chain mangalsutra is hallmarked for its purity.